This 1-day Basic Defensive Tactical Pistol course focuses on enhancement of basic shooting fundamentals and defensive tactics skills with the semi-automatic pistol. Students will learn enhanced dry-practice and live-fire techniques that focus on development of defensive tactics skills in preparation for use of the semi-automatic pistol for private armed security and law enforcement applications. This course will also cover the primary elements of defensive combat mindset, situational awareness, basic principles on the use of force and firearms, the physiological response and reaction of the human body under duress. The natural action stance and grip. Mental conditioning and defensive combat mindset. Developing tactical aptitude and situational awareness. Safe operation and control of the semi-automatic pistol. Loading / unloading under stress. Emergency reloads, tactical reloads and speed reloads. The importance of dry-practice and enhancing your skills. Lawful use of force and the law. 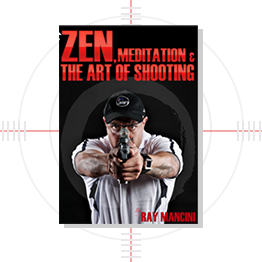 You must demonstrate basic understanding of safe firearms handling skills and holster proficiency or you must have successfully completed the Handgun Orientation Course through the RAY MANCINI ACADEMY in order to enrol in the Basic Tactical Pistol program. The payment of $200 is mandatory in order to secure a place on the course and full payment is required before commencement. Minimum of 250 rounds required to complete the course and can be purchased from RAY MANCINI ACADEMY at $40 per 100 rounds. You are required to wear tactical pants or good comfortable pants with belt loops, you must bring a strong belt suitable for wearing holsters and mag pouches. Closed shoes or boots (footwear must be suitable for rapid movement and turning). Sunscreen, insect repellent, hydration system or water and baseball type cap. Please note: If you’re an agent or law enforcement officer who has a permit for your own firearms you must contact us before you can bring your own firearms or ammunition to the course for approval. The safety of our staff, our customers and the public is our highest priority. It takes precedence over all other aspects of our business. In health and safety, our record currently sets a standard for the industry (zero Injury/accidents Statistics in over 17 years we have been in business). This requires constant effort in all aspects of risk management, process control, training and communication. Our responsibility is to exercise safety leadership and maintain a safety conscious working environment at every level of our operation. We are dedicated to making this attitude part of our culture and everyday activities. Our policy of having a workplace free from alcohol or drugs is part of our commitment to building a safer network for our customers and staff. All employees – including front-line staff, those in safety-critical roles, firearms division, administrative staff and senior management – are subject to random testing at any time while they are reporting to work or undertaking work. RAY MANCINI ACADEMY reserves the right to test any eligible student undertaking firearms training for the use of prohibited drugs or alcohol when actions of said individual student are such to provide reasonable suspicion of the use of drugs or under the influence of alcohol. Any trainer, administrator or support staff may report reasonable suspicion to the lead instructor or the director of training who will, along with the referring party, decide on the need for drug or alcohol testing. Students who fail drug or alcohol tests are removed immediately from the course. RAY MANCINI assures discretion and the confidentiality of all testing and results. Dignity is never compromised. Only certified laboratories are used for the processing of collected samples and all testing is conducted according to federal and state requirements. Please note at the RAY MANCINI ACADEMY we have a stringent clearance process and specific disqualification provisions for those with previous criminal record who wish to enroll in any of our security courses, tactical programs or firearms training (in Australia or any other country). We conduct criminal background checks on all students upon enrollment, if you are found to have a criminal conviction against your name, unfortunately you will not be able commence any security, tactical and firearms courses with us. Please note that your acceptance will be subject to a satisfactory national police clearance report. If you have any doubt whatsoever about your eligibility to apply for any course, permit or license you can contact the WA Police Licensing Division on (08)-9351-0699.